Well, it's official: the great recount of the 2016 election is officially on. After Green Party candidate Jill Stein filed paperwork to request a formal recount in Michigan on Nov. 30, election officials are kicking into high gear in that state, as well as in Wisconsin, where Stein's campaign also filed a recount request. In Pennsylvania, Stein's team filed a legal challenge to the results — essentially seeking a court-affirmed tally of votes cast in the state. So far, Stein has raised more than $6 million from thousands of Americans who made mostly small donations in "an effort to ensure the integrity of our elections," as Stein's fundraiser phrased its mission. So what happens now that the vote recount is happening? In Michigan, ballots will be counted by hand, county by county, according to CNN. State law determines that officials have until Dec. 13 to certify the results of the recount, though several media outlets are suggesting that deadline may be impossible to meet. Nevertheless, election officials told the Detroit Free Press that they intend to start the recount on Friday, Dec. 2, and will likely work through the weekend. Incidentally, the Wolverine State was the last to formalize its election results, confirming that Trump won Michigan's 16 electoral votes on Nov. 28. According to the final tally as reported by NPR, Trump bested his Democratic opponent by a razor-thin margin of less than one-fifth of a percentage point. It was the closest presidential election in Michigan history, and Trump won just 10,704 more votes than Clinton, out of more than 4.5 million ballots cast in the state. Wisconsin's recount will likely begin on Dec. 1, according to CBS News. Although Stein had been asking for a manual recount of ballots cast (meaning each of the more than 3 million ballots would be counted by hand), the state election commission voted instead to initiate a mechanical recount. An automatic, state-funded recount would have been triggered if Trump's margin of victory had been less than one-half of a percentage point, but Trump's lead of 27,257 votes is just above that threshold, according to CBS News. 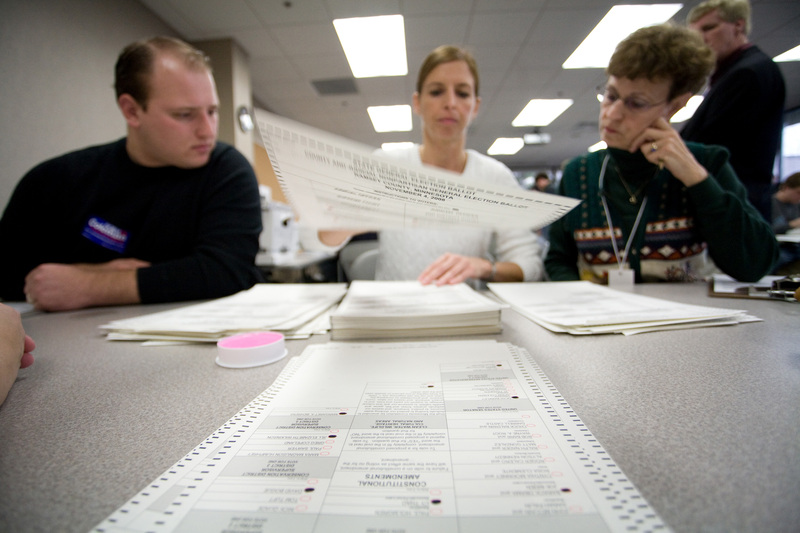 All recount results must be certified by Dec. 13, according to state law. In Pennsylvania, Green Party attorneys will make their case for a recount in court on Dec. 5, according to the Pittsburgh Post-Gazette. During that hearing, Stein's lawyers will need to convince the court that there is credible evidence that Pennsylvania's voting machines were tampered with, thereby warranting a recount. Legal experts in the state told the Post-Gazette that attorneys will need to submit specific, concrete evidence that suggests foul play, which has yet to be made public. At the same time, however, the Green Party is coordinating county-level recount efforts in several of the city's most populous counties, according to the Post-Gazette. In fact, Trump's margin of victory is actually largest in Pennsylvania, where he has a 1.17 percentage-point lead, which amounts to 70,638 more votes than Clinton, reports CBS News. Election officials in each state have generally expressed confidence in the integrity of their state's results, and almost universally dismiss the possibility that a recount will change the outcome of the election. Even attorneys for Hillary Clinton's campaign, who grudgingly said they would "participate" in the recount efforts initiated by Stein, do not expect the recount to reverse Trump's overwhelming lead in the Electoral College. Although Clinton won the popular vote by more than 2 million votes (and counting), the nature of the Electoral College means that, without winning what was once known as the Democratic "blue wall" of Michigan, Wisconsin, and Pennsylvania, Clinton had no realistic path to winning the electoral vote. All three states undergoing recounts have in recent history been Democratic strongholds. No Republican presidential candidate had won the popular vote in Pennsylvania, Wisconsin, or Michigan since 1988, according to CNN. But like everything else in the uncharted waters of modern American democracy, it seems like Trump has effectively blown "politics as usual" to smithereens.